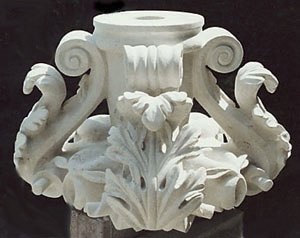 One of a pair of stone Corinthian Capitals carved in Bianco P Marble. 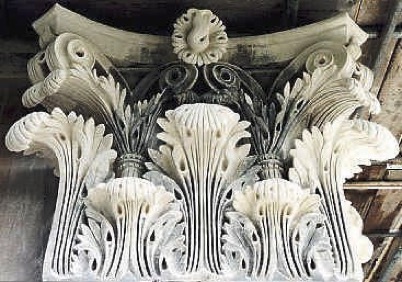 These replacement capitals are accurate copies of those fire that were ravaged in the devastating fire at the Darnley Mausoleum, Cobham Hall, Kent. 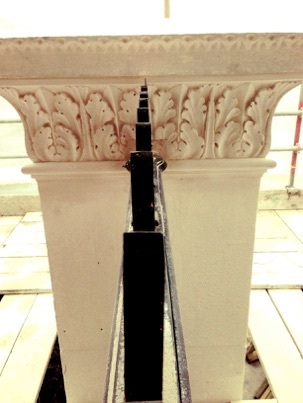 Carved upside down for ease of access. 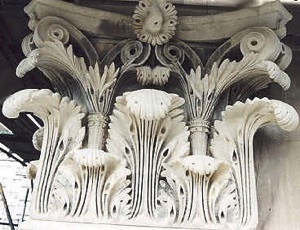 Pair of Corinthian Capitals carved on site at the Egyptian Cultural Centre, Mayfair, London. 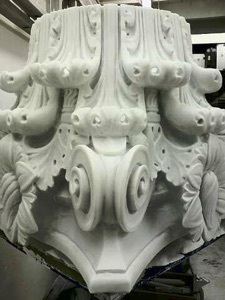 Restoration due to severe weathering of the original. 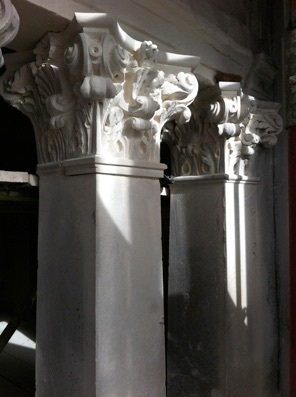 Damaged areas cut out and new stone blocks were fitted, this stone was then carved in-situ, copying adjacent carvings faithfully. 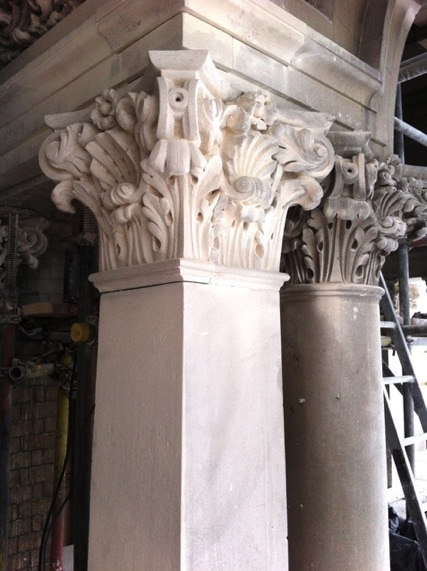 Each approx 600 x 600 x 300mm. 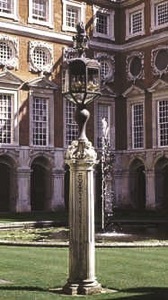 Hampton Court, Fountains Court, London. 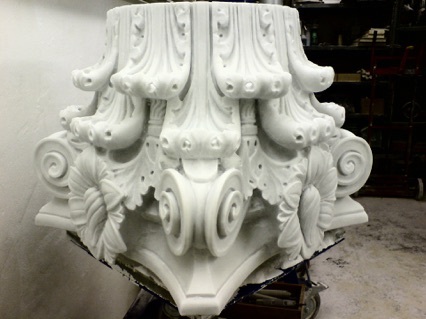 Four carved stone lamp bases. 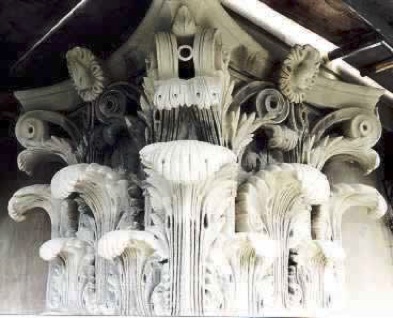 Originals by Grinling Gibbons. Copied as closely as possible.